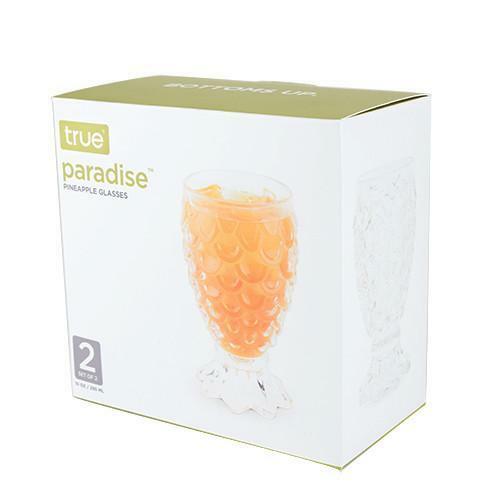 Bring the tropics home with Paradise™! 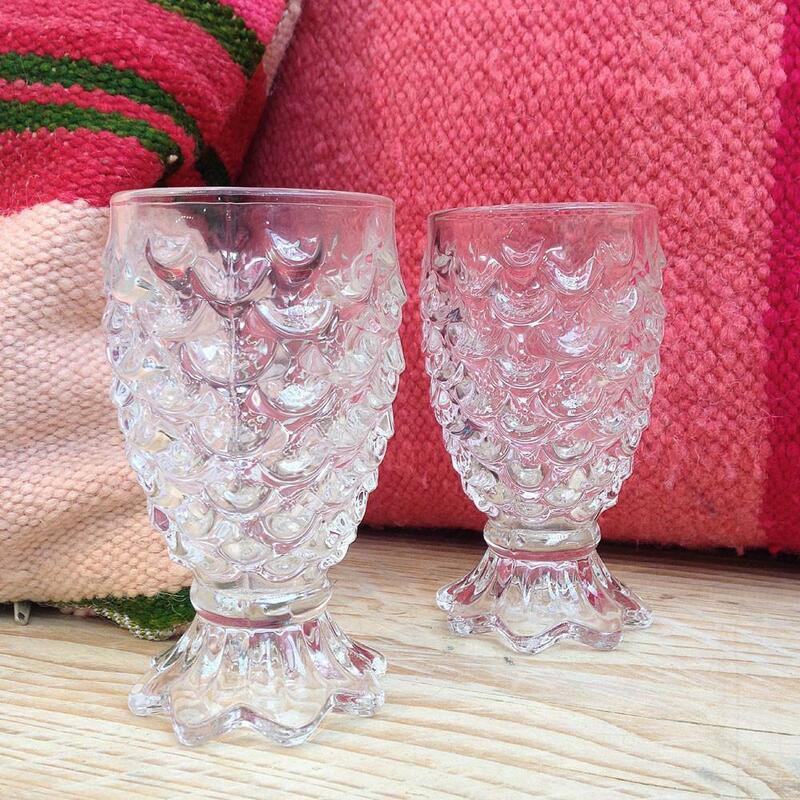 Cocktails and cool beverages now have a home in this pair of translucent thatched glasses. 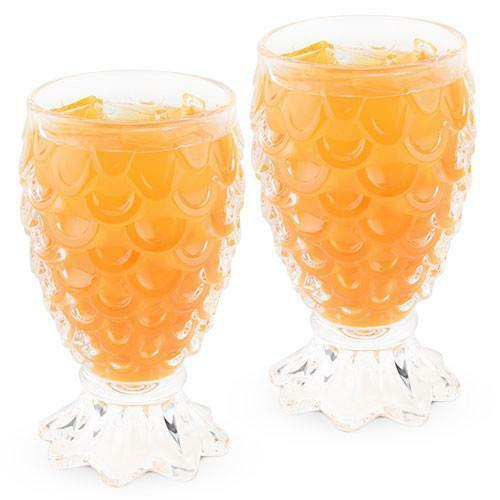 Fashioned to resemble upside-down pineapples, these vacation-ready tumblers are the perfect accessory for beach-side getaways or backyard barbecues. 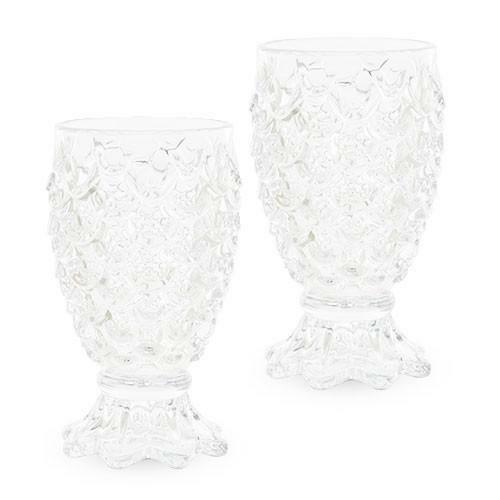 So serve up a sumptuous beverage or two, and perhaps swill one for yourself while you do.